Now management can have detailed formula waste reports pinpointing the exact source of the waste. Waste Traxx requires employees to login to record each time waste is disposed. Plant management can determine which employees may need additional training. Waste Traxx Software (item # SFT0012) is a perfect complement to Doran’s 2200 series scales or indicator connected to a floor scale. Until now, formulas that were disposed of due to production errors or machinery malfunction were recorded in handwritten records with very few reports generated from these documents. Management had a record of the overall amount of waste, but the production line, equipment, or employee responsible for the waste was often a mystery. 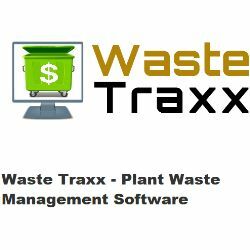 Easily track down the source of your plant’s waste with Waste Traxx. Gain actionable insight of your plant’s product and ingredient waste like never before with Waste Traxx software from Doran Scales. Replace your existing handwritten waste records with computer generated reports that can be opened in Microsoft Excel and archived for later reference. Waste Traxx consists of two software packages, a server side component which resides in Doran’s FormulaLoader software as an add-in module and a client program which runs on a separate Windows PC located near any of the Doran 2200 scales that will be used to weigh the wasted product. It can be used with any of our 2200 model scales or with a 2200 digital weight indicator connected to a floor scale. To communicate with both the server and the PC running Waste Traxx, the 2200 scale or indicator will need to be equipped with the optional Ethernet communication board. After all the configurations are set up by management, wasted product is weighed and recorded using the client side program. The simple interface of this software component can be customized by enabling, disabling, or even rearranging the order of the six user prompts. After the program is launched, the user chooses the scale from a dropdown menu and logs in. The employee responds to the prompts that were configured and then weighs the wasted product. By clicking the Accept button and then the Finish button, the data is saved to the database. 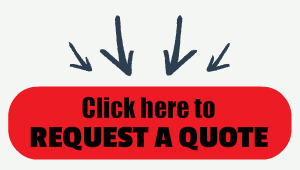 It’s as easy as point, click, and weigh. Once the database has been stored, management can access that data and view the data within FormulaLoader or run reports that can be viewed in Microsoft Excel.